3 Bedroom Detached House For Sale in South Petherton for £450,000. FEATURED IN THE BIG OPEN HOUSE 27th and 28th April. 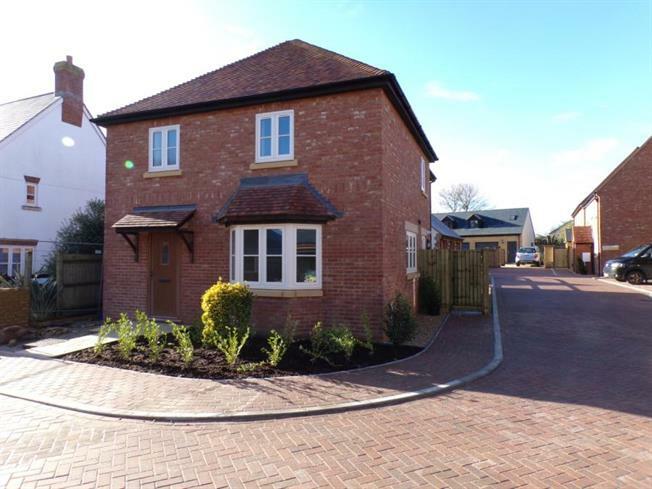 A spacious large 3 bedroom detached new build property situated on a quiet no-through road on the village outskirts. A good sized garden, underfloor heating to the ground floor, gas central heating and a detached TRIPLE GARAGE. The accommodation comprises of a Sitting Room, 22ft Kitchen/Dining Room, Utility, Cloaks/WC, 3 bedrooms including master with en-suite shower room, Triple Garage and a good sized Garden. South Petherton is a popular Somerset village set in attractive surrounding countryside 1 mile from the A303 trunk road offering a wide range of shopping facilities, 2 schools, library, pub/restaurant, post office, church, doctor and veterinary surgeries, chemist, tennis and bowling clubs and bus services to neighbouring towns and villages.